Raith Rovers Supporters Trust gave the football club a huge vote of confidence this week with a significant £10,000 investment in the club. The Trust which along with other fan groupings represents the voice of supporters on the club’s Board of Directors, made one of their biggest ever contributions to the finances of the club. This investment was only possible due to the subscriptions and generous donations from Trust members, and to the successful fundraising events we have held this year. In order to accelerate the journey towards our next investments, watch this space for details of our 2016 Burns Night to be held on the 23rd January. Let’s make it as successful as this year’s event! The Raith Trust has come to an arrangement with the football club to allow all mail for the Trust to be sent to Starks Park and we are no longer using our PO Box address. As well as saving the trust over £200 a year, it further emphasises the closer co-operation that exists between the trust and the football club. Mail for the trust can also be handed in to the club office making it more convenient for fans to contact the trust. Of course on matchdays, any mail can also be handed in at the trust table in the south stand. Our contact postal address is now: Raith Trust, c/o Starks Park, Pratt Street, Kirkcaldy, Fife, KY1 1SA. The “Tiel Burn Enders” have joined the Football Memories League and have staged their first “matches” at Starks Park. The group recalls the memories of old football matches by looking at photographs and memorabilia of the period 1950 to about 1980. The Raith Supporters Trust approached Alzheimer Scotland to set up a group in the stadium, and they now meet on Sunday afternoons once a month. The highly successful Football Memories project started out back in 2004, and is now well-established all across Scotland, from Stranraer to Shetland. It uses images of old football matches and memorabilia to help stimulate recall and memory. There are over 80 “teams” in the Alzheimer Scotland Football Memories League and each has chosen its own name and colour. Each group has a trained football memories volunteer and a member of Alzheimer Scotland staff in attendance. A local group already exists in the Alzheimer Scotland Resources Centre in Kirkcaldy, and this group has helped to bring the Raith Supporters Trust team up to speed with how the sessions work. The Football Memories work has been featured on TV and radio and has attracted interest from within the UK as well as from abroad, notably from Spain and the USA. In the existing groups in Day Centres and Care Homes, there have been several examples of the Football Memories work having a significant effect on individuals concerned. The names, the debates, the memories are all triggered by the images. The players and the teams are from their era, their town, their experience. They are back on the terraces again. They are among friends and the names come flooding back- McNaught, Colville, Leigh, McEwan, Baxter and so on. The aim is to have a Starter Pack of 100 images for each Scottish team, and it is hoped that a Rovers pack will be produced soon. If you, or a loved one, would like to join the Tiel Burn Enders, contact Alan Russell at the Raith Supporters Trust by email at chairman@raithtrust.org.uk or by phone on 07780 993288 to find out details of the group’s next meeting. Keep up to date with news from the Trust by following us on Twitter at @raithtrust. We will also keep our Facebook page (https://www.facebook.com/raithsupporterstrust) up to date with all breaking news. We are holding a Quiz Night at 7pm on Thursday 26th September in the Raith Suite at Starks Park. Teams will be able to test their knowledge on a wide range of subjects including music, film and television, news, general knowledge, Fife and of course, Scottish football. Entry is £10 per person which includes food for the evening, a free drink and a chance to win a top cash prize. Two Rovers fans have put their hat in the ring to become the latest ‘Supporter-Director’ of the club. David Wann, who has held the post for the last two years, and Allan Traynor, a project manager, both put forward their nomination to take up the role which was secured after the Reclaim the Rovers campaign in 2005. Both candidates have provided a statement to support their nomination and now it’s over to supporters to make their choice. Voting papers will be sent to all members of Raith Forum organisations (Trust, Supporters Club, 200 Club and Jim McMillan Club) over the next week. The election will end on Friday 24 May with results announced over that weekend. Click here to download the two statements (one document). 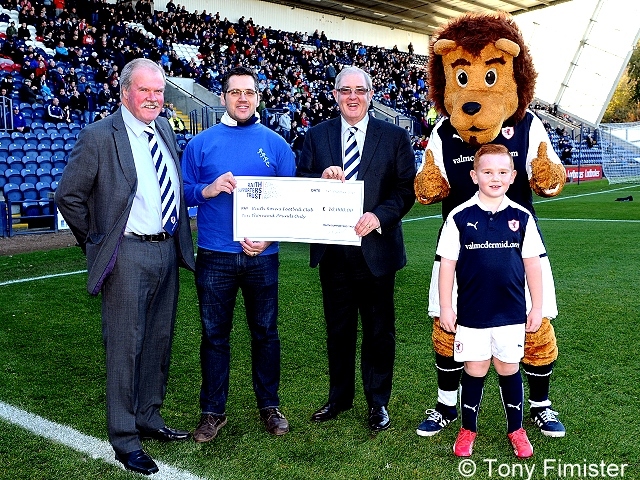 The nomination process for the Supporters-Director role at Raith Rovers FC is now open. Nominations, seconded by two members of Raith Forum organisations (Supporters Club, 200 Club, Jim McMillan Club and Supporters Trust), should be received no later than Friday 26 April. In the event of more than one nomination being received an election will take place between Monday 29 April and Friday 17 May. More details on the duties and responsibilities of the role can be found here.